The TPI FH Series In-Floor Fan-Forced Specialty Heater is a compact and reliable specialty heater that delivers heat underneath or within floors. Equipped with a single-phase wiring, this TPI specialty heater has a multi-watt rating from 750 to 1,500 watts. It produces a capacity up to 5,120 British thermal units (BTU) and power up to 240 volts. This TPI fan-forced heater uses a steel spiral finned heating element that produces a quiet and comfortable operation. Also, the FH Series specialty heater has an automatic reset thermal cut-out with an audible alarm that automatically reboots electric current depending on temperature change. 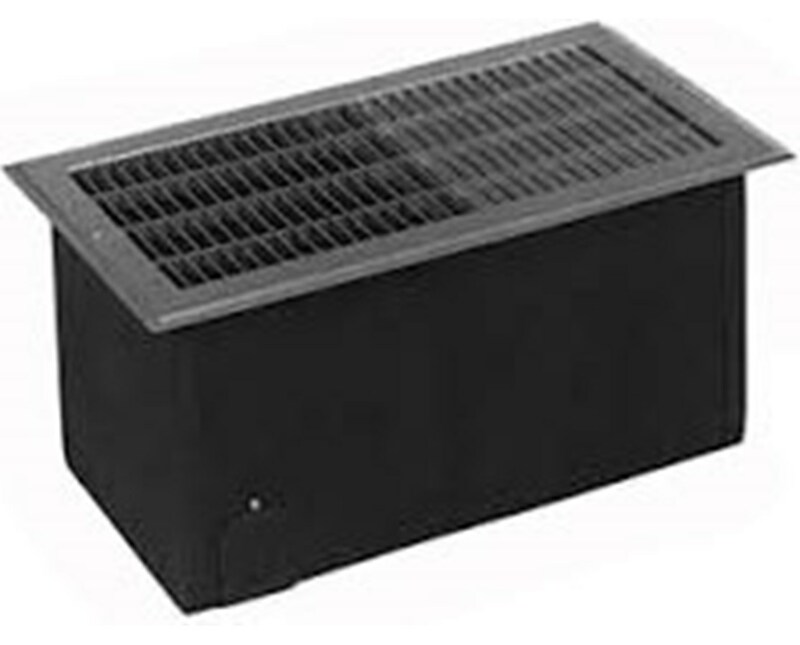 The FH Series fan-forced heater is constructed of a bronze powder-coated 20-gauge steel case and 14-gauge steel grill that is corrosion and wear-resistant. 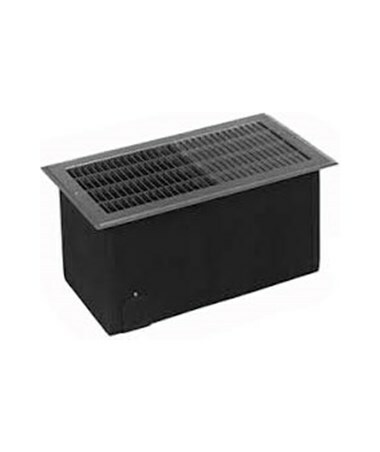 It comes with a floor opening of 14.13” W x 7.25” H x 7.38” D and grill dimensions of 15.81” H x 8.81” D. In addition, the FH Series is approved by cETLus standards and is made in the USA. 750 2,560 120 6.25 14.13" x 7.25" x 7.38" 15.81" x 8.81"